After the births of my two children, I left my career as an educator to pursue my passion for birth work and have since earned certifications as a HypnoBirthing Practitioner, birth doula, and lactation counselor. I am passionate about all things birth and baby but especially empowering women and their partners to make informed decisions about their birthing, to approach birth with a sense of trust and calm, and to ultimately have a safe, joyful birthing experience and a successful transition into the new demands of parenthood. Our goal at Joyful Birthing is to help our clients understand the many choices available to them so they can make informed, autonomous decisions for themselves and their child. We respect that this is your birth and baby, and know that only you can determine what is best. With compassion, respect, and without judgment, we will support all of your choices and help you seek a positive birthing and early parenting experience. Joyful Birthing provides HypnoBirthing® Childbirth Education, Birth & Postpartum Doula Support, Breastfeeding Education and Support, Nutritional Advice, and a variety of classes to the greater Boston area, including the North Shore & South Shore and Seacoast New Hampshire. 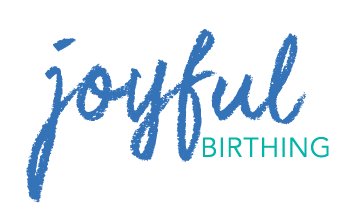 Joyful Birthing was established in 2014 with the goal of educating, inspiring, and empowering women and their partners on their journey through pregnancy, birth, and early parenthood so they can have an optimal experience, as *they* define it.